Shower your dinner table with delicious edible roses for St. Therese's feast day. 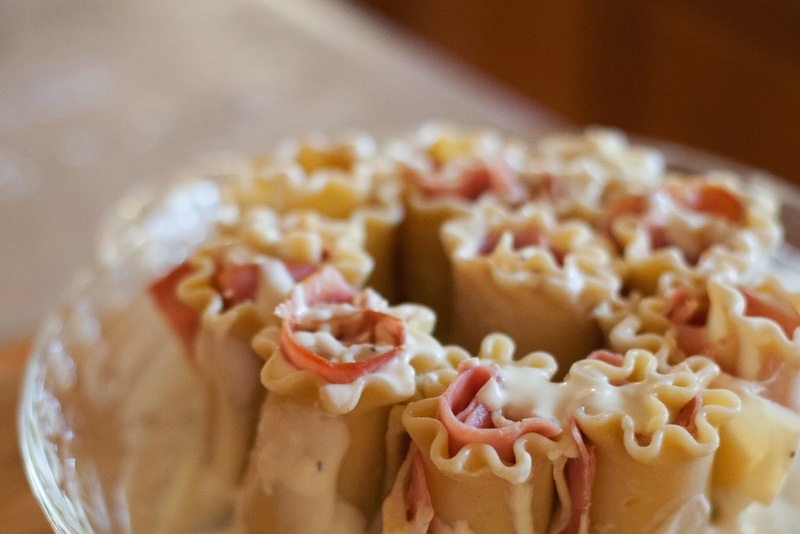 This recipe for Rosette di Pasta or Pasta Roses is a variation on the traditional and unique dish from the Emilia-Romagna region of Italy. 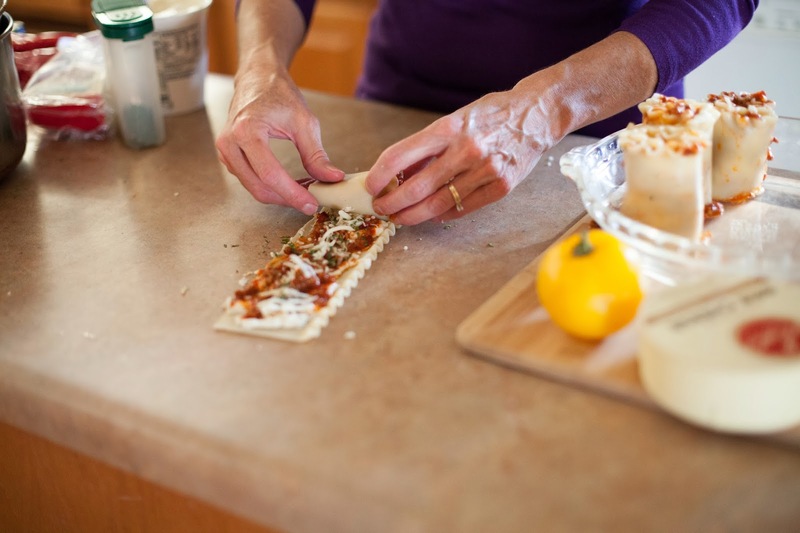 The original recipes call for ham and fontina cheese. The finished product is a slightly rosey pasta flowerette. 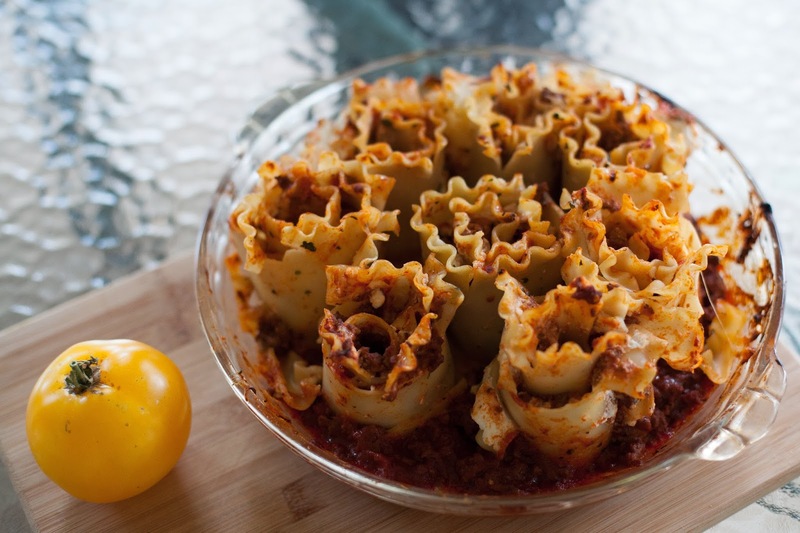 I decided to make some with this more traditional recipe and also a variation using a typical lasagna filling for a deeper color. While most of the recipes call for a homemade pasta cut into rectangles, I opted for using regular boxed lasagna noodles. Those were pre-cooked according to directions and then I cut off one edge so they would have a flatter base to set on after they were rolled. 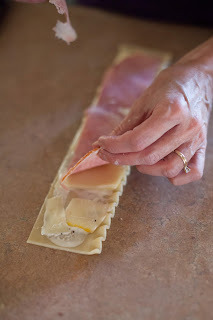 On the pasta length I spread a cream sauce (Alfredo), placed thin slices of fontina on sauce, and thin sliced ham over that. The layered pasta was then rolled up and set upright in a baking dish, fluted side up. 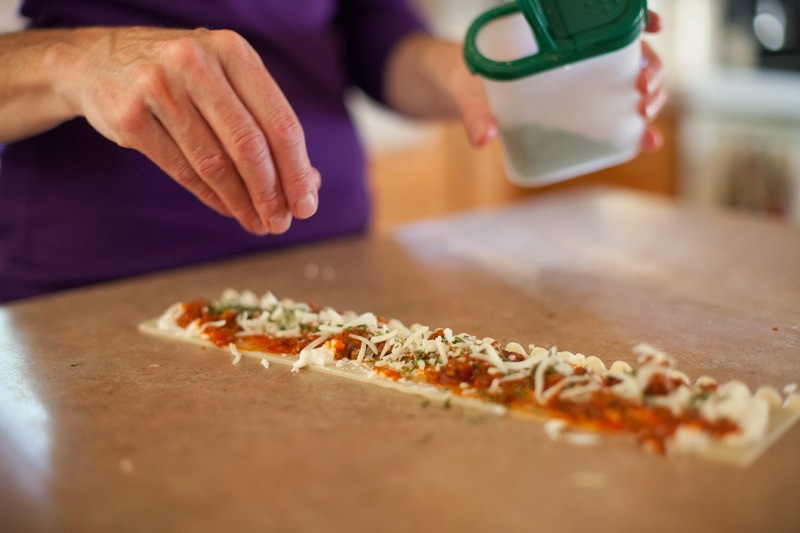 After all the rosettes were in place the additional sauce was poured around the base and brushed over the tops. On the pasta length I spread a layer of ricotta cheese, then covered that with the meat and tomato sauce filling, grated mozzarella was sprinkled on top, and a bit of dried parsley over. The remaining sauce was again poured around the base of the completed rosettes. With the ham and fontina variation I cut the lasagna noodles in half before rolling. 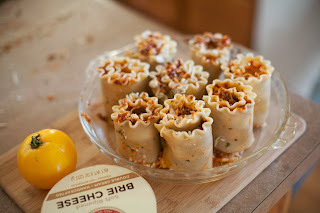 For these I used the entire length of lasagna noodle and the end product was a much fatter rosette. Both were fine - so it could be done either way. With a paring knife (or kitchen scissors) make an X cut about 1/2 inch deep into top of each piece to make the roses bloom." Press down slightly to open them a little. Bake in 350 degree oven for 20 minutes. Let rest for 5 minutes before serving. There are several other filing variations you could use. In addition to being a meal option for St. Therese's feast it could also be used for other saints associated with roses; St. Rose, St. Rita, St. Rose Duchesne. Be creative and enjoy. Those turned out wonderful! We are going to have to try these, Mary! Thank you for posting the recipe! These are beautiful! Thank you for sharing this wonderful idea! What a fun and interesting blog! Please come by and visit my blog, Home In Douglas. My husband is a permanent deacon and an iconographer and I am a cook, singer, icon prayer shrine maker and retired State of Alaska worker. The 2013 Saint-O-Lantern Link Up!